No, I am not going to start blogging about cemeteries and cemetery chapels, but I made a pilgrimage today (24 June). 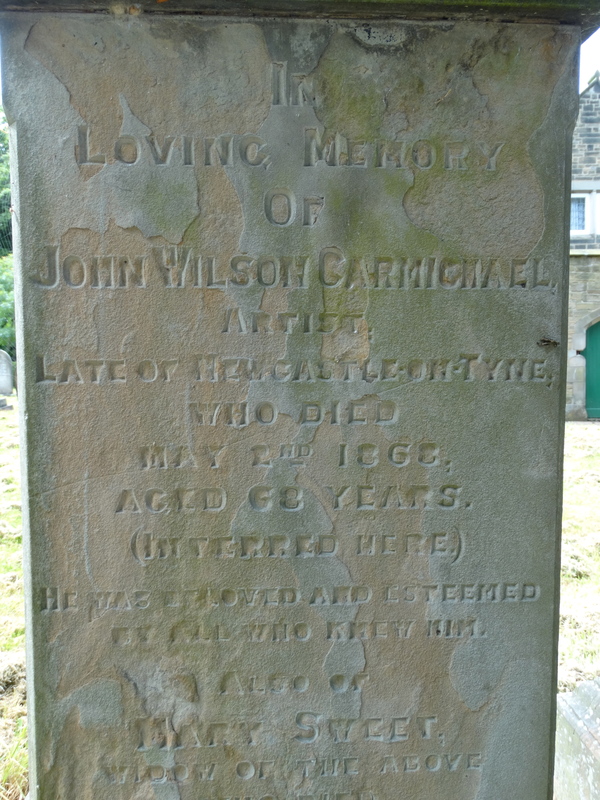 John Wilson Carmichael, maritime artist and railway historian, is buried here. He was born on 9 June 1799 in Newcastle, and died in Scarborough on 2 May 1868. 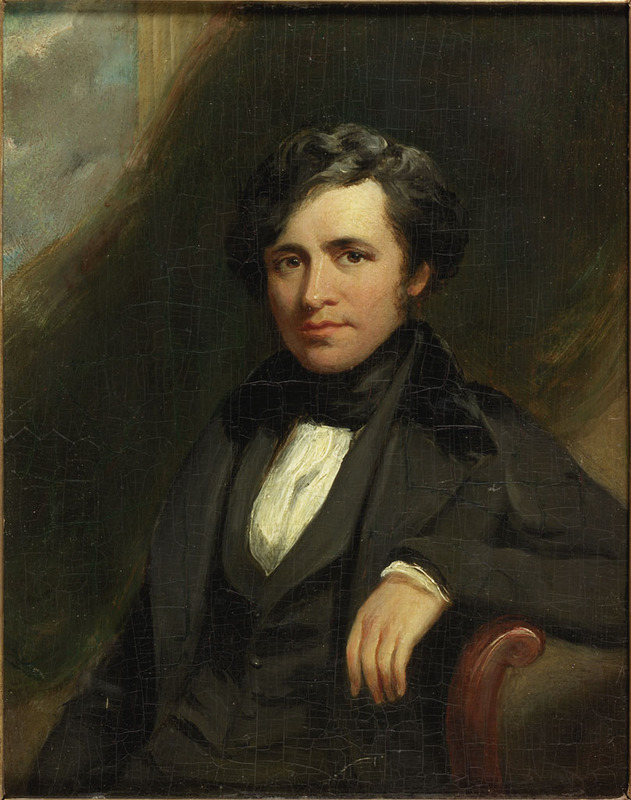 This is a portrait of him by Thomas Ellerby painted in 1839 and in the collection of Tyne & Wear Museums. 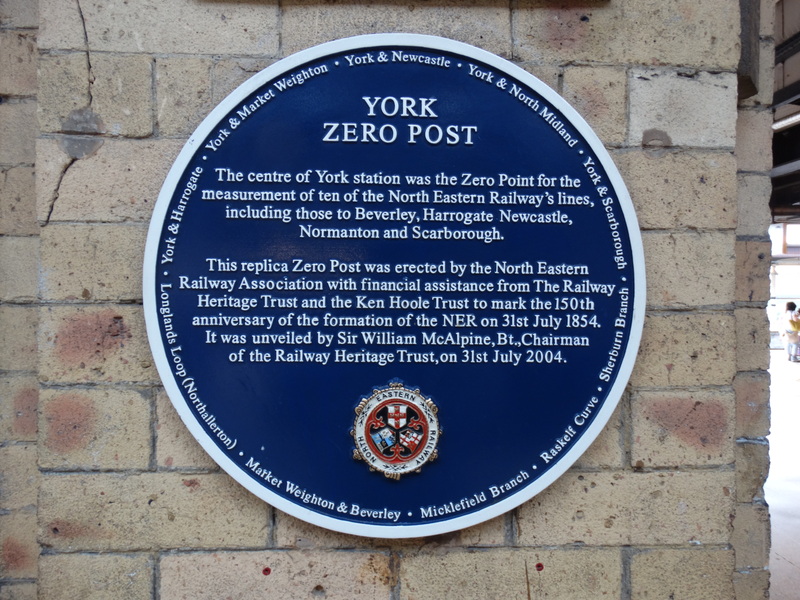 I caught the metro to Sunderland, bought some flowers, trained to Middlesbrough, then on along the beautiful Esk Valley Line to Whitby – http://www.eskvalleyrailway.co.uk. I caught the bus to Scarborough and got chatting to Corrine, asked her whether the bus went anywhere near Dean Road Cemetery. “Get off at my stop” she said and insisted on walking me there. You meet some lovely people in this world. I found him, laid my flowers, said a prayer, and took some photos. May he rest in peace and rise in glory. (His wife Mary is buried in Elswick cemetery in Newcastle). 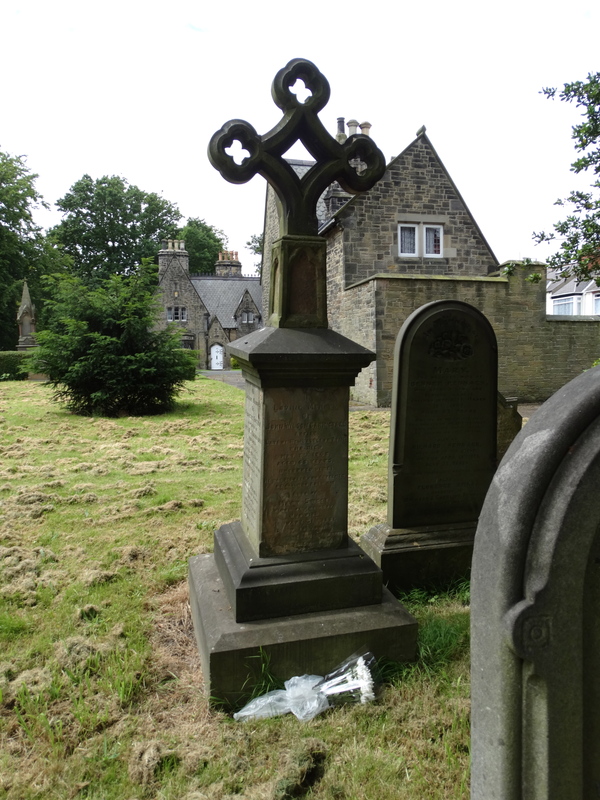 The Friends have worked with the Borough Council and done a good job renovating the cemetery. 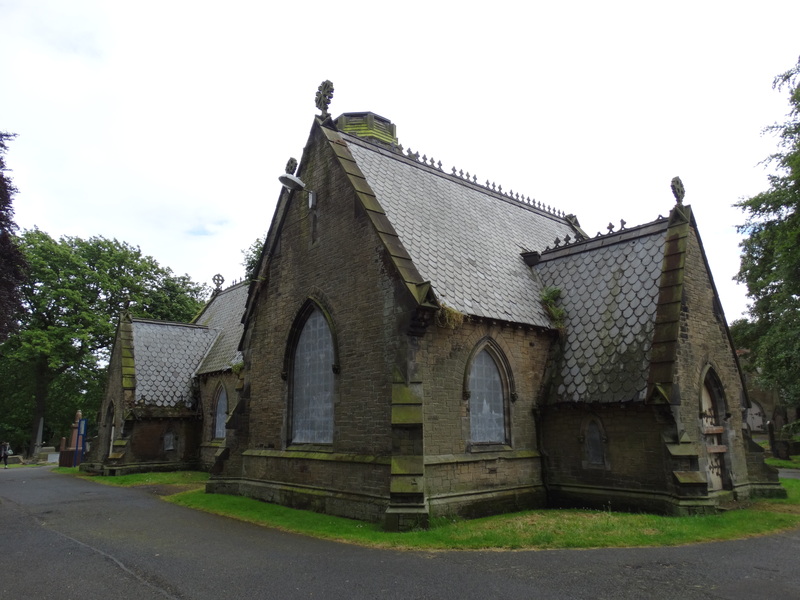 They are now working with others to redevelop the Cemetery Chapel. Excellent. I walked to Scarborough station and returned via York. 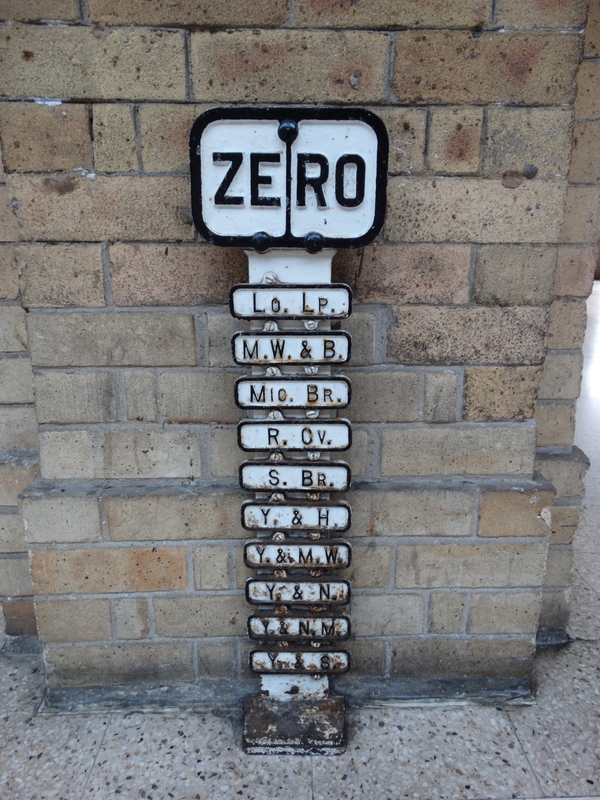 Let’s have a photo of the unique milepost at York station to finish this blog. This entry was posted in Outside Northumberland, Personal, Railway interest. Bookmark the permalink. 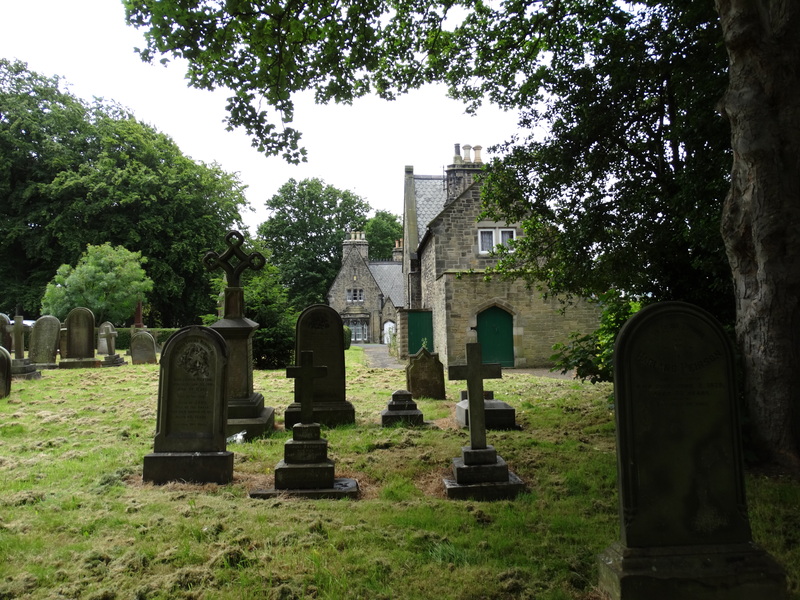 I’m part of the group working to restore Dean Road chapel in Scarborough, and we’ve just been awarded £50,900 by the Heritage Lottery Fund for the development part of the project. 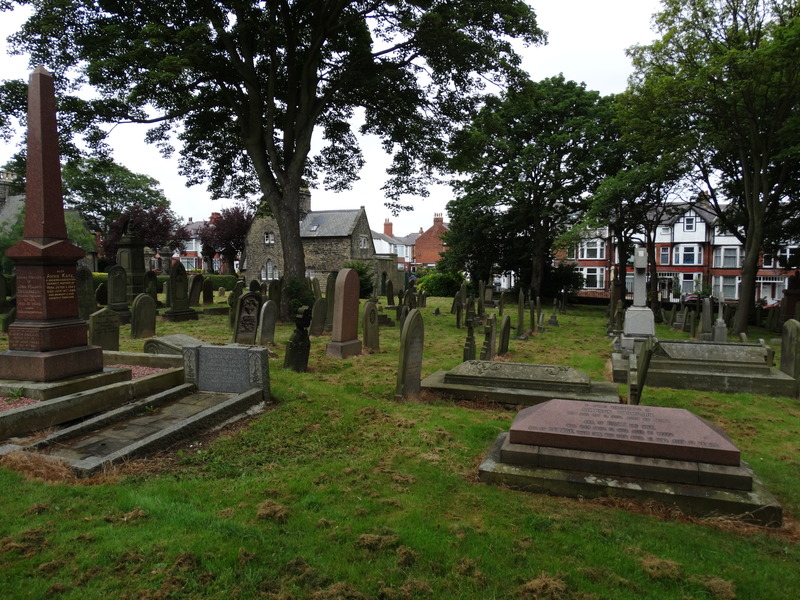 We’re researching the lives of prominent people in the cemetery and will be making the information available in the chapel. 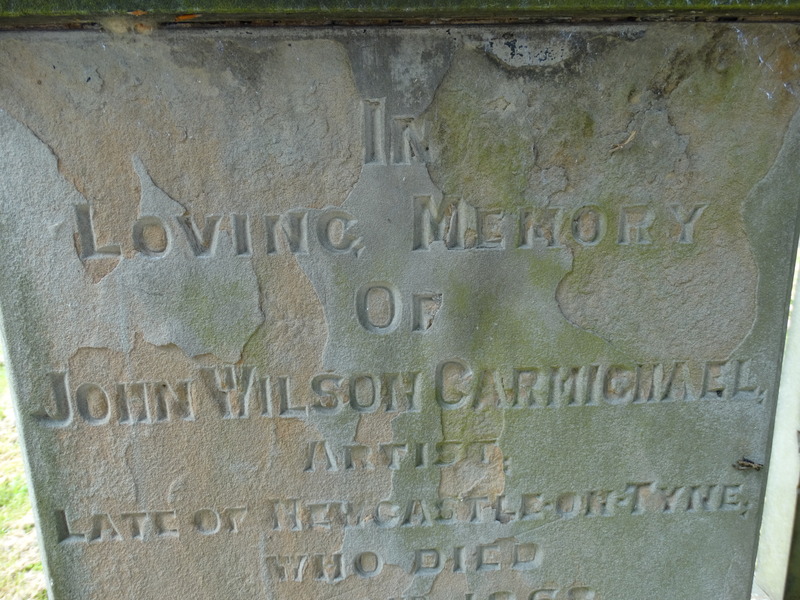 I’d really appreciate it if you could let us have your work on John Wilson Carmichael which you mention in your blog. Our email is deanroadchapel@gmail.com.